Everyone wants a clean living or work environment, but cleaning can be hazardous to your health if you use cleaners with harmful toxins. 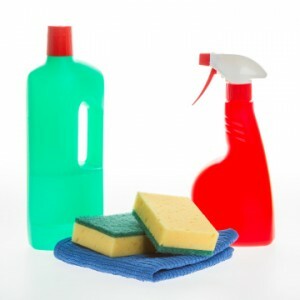 Exposure to the harmful toxins found in cleaning products can worsen asthma and cause allergic reactions. You may not even be aware that you’re polluting your home when you clean. But if you’ll check the ingredients posted on the side or back of regular cleaners, you’ll see many allergy and cancer causing ingredients listed. You can research these chemicals and see the harmful health effects they’ve been linked to. Using organic cleaning products offers many benefits that chemical based ones do not. By using organic cleaners, you can rid your home of chemical cleaner toxins. Organic cleaning products don’t contain harsh chemicals that will not only damage your skin but can affect your lungs if you breathe in the vapors. Cleaning products are used in every room in the house, on counters, on floors, and on furniture – and everyone in the home is exposed to whatever active ingredients make up the compound of the cleaning product. What do you want your family to come in contact with? The number of children diagnosed with asthma continues to rise and concerns have been raised by study groups that exposure to the toxins found in household chemicals may be to blame. One form of asthma, called extrinsic asthma, is caused by environmental contaminants. 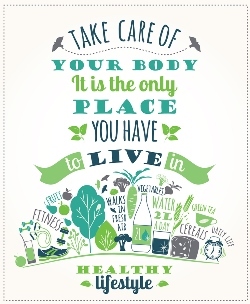 By using organic products, you’ll create a safer home environment for everyone to breathe in. Because they’re non-toxic, organic cleaners are safer to use around kids and they’re also safer to use around your beloved pets, too. Organic is better for allergy suffers as well as asthma sufferers. Going organic cuts down on (and in many cases eliminates) illness brought on by being around chemical cleaners. Not only are organic products better to use in your home for health reasons, but they’re also better for the environment. Chemical cleaners can contain harsh abrasives that damage the surfaces of counters – even granite ones – and bathroom fixtures too, whereas organic products are gentle and won’t hurt the surfaces. Even when you’re finished using a chemical cleaner, the chemical toxicity can stay on your counters, tubs and toilet for several hours if not longer before evaporating. Organic cleaners can clean as well as (and in most cases, better than) chemical cleaners. Plus, there’s the cost involved. Chemical cleaners seem a lot less expensive, but they’re not in the long run. The reason is because they don’t last as long as organic cleaning products do, so you have to buy them more often. Because you can use less of an organic cleaning product, it lasts longer and is less expensive.